The Minebox project has been announced a while ago as an interesting solution that combines a NAS device for storing your own data with a blockchain powered cryptocurrency for storing other user’s data on your free and unused space and earning money for doing that. Minebox relies on affordable Enterprise grade hardware from HP, namely the HP MicroServer that we’ve covered before as an interesting choice in regards to use with SiaCoin and Storj for example. So we were not surprised that this project has decided to go for the particular hardware from HP and extend the base NAS functionality with support for SiaCoin (SC) “mining” by renting your currently unused space. It is definitely an interesting idea, buying hardware that you can use for file storage and at the same time it may even pay for itself thanks to renting the unused resources such as free hard drive space over time. 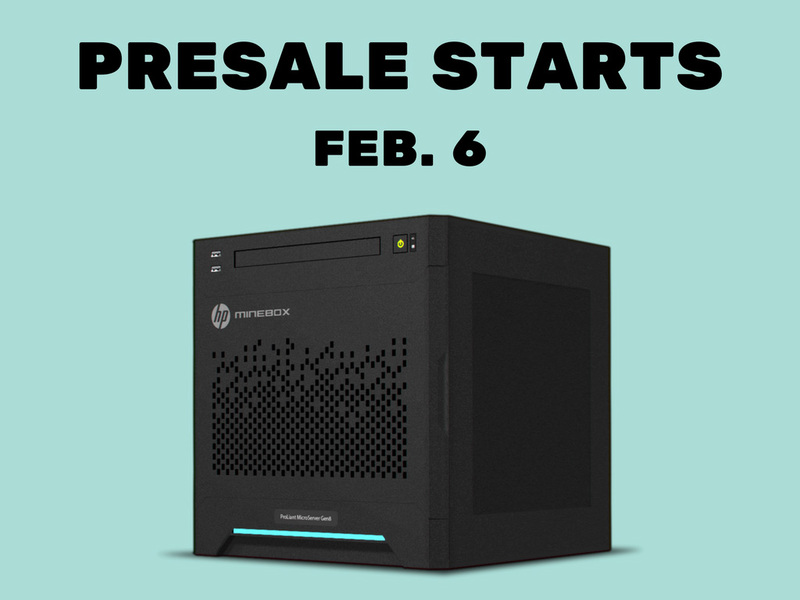 Minebox has announced that it will start a presale of the MineBox NAS hardware starting next week – February 6th, apparently using ShapeShift as a partner for the payment with Bitcoin and other altcoins. Though not much details about the presale or when the actual devices will start to ship is yet available, hopefully it will be soon. It is interesting to see if there will also be a software only solution also available for more advanced users that may be interested in building their own devices or adding it on existing HP Proliant Microservers they may own. So far it is more likely tha Minebox will be sticking to providing users with the complete solution of hardware and software together, though you should still be able to upgrade your initial hardware such as adding more hard drives for example.